Hand Polished Sterling Silver Plated Four Piece Buckle Set. 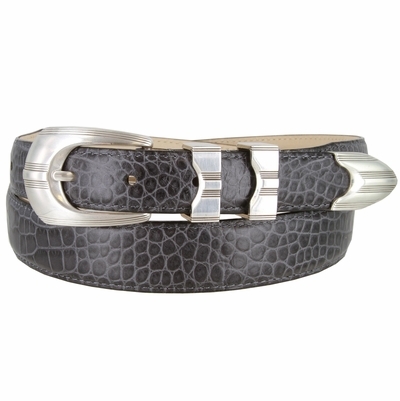 Belt is 1 1/8" wide tapering to 1" wide at the tip and buckle. Available in smooth, embossed alligator grain, and embossed lizard grain styles.